Spring is here bringing with it a rather gorgeous Topshop Spring 2015 collection. Here are a few of my favourite items that have caught my eye put together in a wish list Wednesday for you. The two items I am especially in love with from my list and will maybe have to order are the firstly the Box Pleat Daisy Print Culottes and secondly the Warped Tile Print Tote. I love culottes on other people but never gone for them myself. I’m not sure how flattering they would be on me and my figure but I do think they look fantastic and the daisy print design on these culottes looks so lovely for the warmer months. I used to love any floral print but have been phasing it out of my wardrobe but these Daisy Print Culottes are hard to resist. The Warped Tile Print Tote is such a large bag and I love the pretty, intricate, scarf like design. I think it will be so nice for spring as it is colourful, fun and bright without being garish. I do seem to be leaning on the monochrome look coming into this years Spring, but it is so easy to wear and is great for these colder winter months leading into spring. Personally I cannot wait for winter to be over, to throw on the sunnies and leave the house without having the worry of lots of layers and coats, bring on Spring! 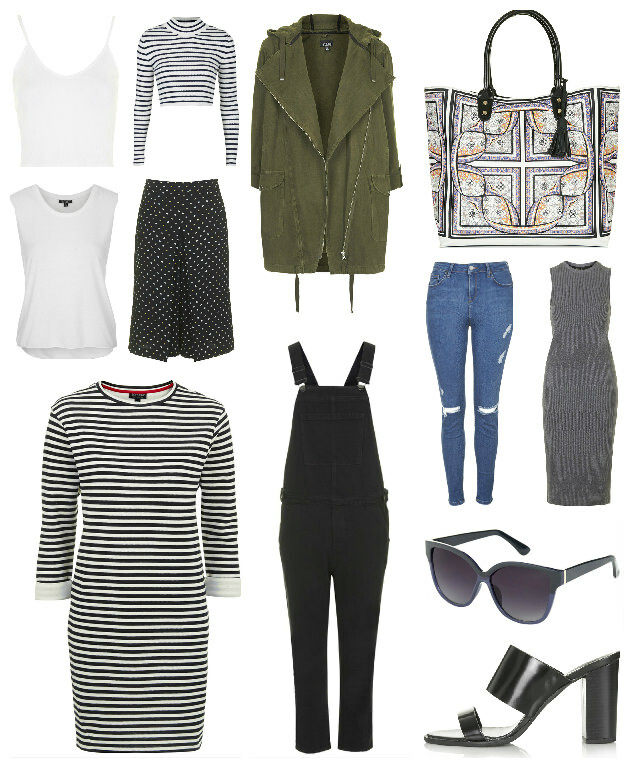 Which are your favourite Topshop Spring 2015 items? What is your Spring 2015 go to look?